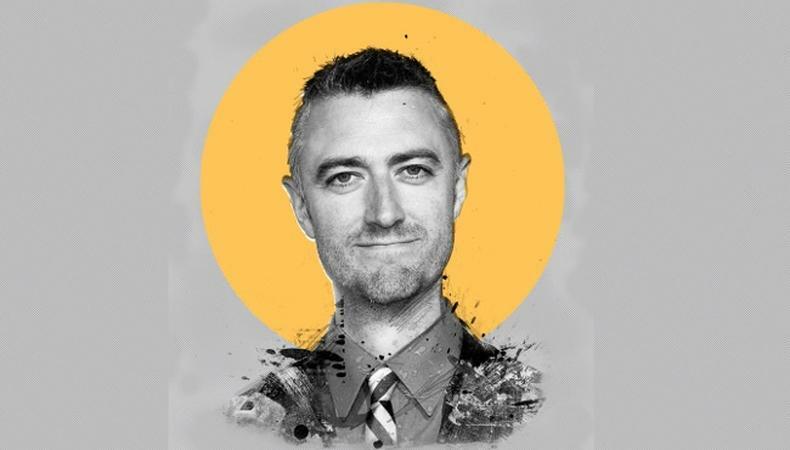 Sean Gunn on His 3 Rules for Moving to L.A.
You might remember him as Kirk Gleason from “Gilmore Girls” and its recent Netflix reboot, but Sean Gunn has hit the small screen and beyond: His starring turns in “Guardians of the Galaxy” and the box office hit’s upcoming sequel as Kraglin and the CGI raccoon, Rocket, have appropriately skyrocketed his career. Here, he offers his top tips for moving to L.A. and more! What have ‘Guardians of the Galaxy’ and its sequel added to your acting skills? “Guardians” is a very unusual acting experience because I’m playing two roles: both my own screen character of Kraglin but also [the CGI-created] Rocket on set. The output is much different for Rocket because, of course, I’m only there sort of temporarily to help the other actors and the visual effects team, but the prep process is similar to Kraglin.... I worked my days on “Guardians 2,” and then I was flying back to L.A. to do “Gilmore Girls.” [Including “The Belko Experiment,”] it was three roles at the same time. Separate from the creative process, which is one whole thing, my physical stamina, health, and taking care of myself became a priority and it remained so. What movie should every actor see? I’m gonna go with Al Pacino in “Dog Day Afternoon.” I think that that is by any measure a superlative performance. It’s the same advice I would give any young person, which is to take the job of acting very seriously. Don’t take it for granted. Don’t get caught up in chasing fame. I think that when I was first starting out, even after I was on “Gilmore Girls,” when things were going pretty well, I was constantly focused on what’s next, how can my career get bigger? I could’ve had a little more fun and I think I could’ve had a little more gratitude for the job I did have. What is your worst audition story? I remember doing a commercial audition where I was supposed to be running, and the client who was in the room, his phone rang and he answered it and took his phone call. That one’s funny. Even at the time, I was annoyed. I thought, This is it, this is the nature of the business. Any advice for actors looking to relocate to L.A.? If you decide to move to L.A. like, “I’m just gonna see if it works, and if nothing works I’m gonna go back in a year, two years”—very, very few people with that attitude are successful. You need to make a commitment to this and say, “This is who I am and this is what I do.” Obviously you reassess if you’re working for years and years and don’t get a callback. But for this life, you’ve got to commit. Work as much as possible, even if it’s for free. Seek out people who are similar creative types, whose work you admire, and you can grow together as artists; I don’t mean network with people who can help you in your career, but find people who by virtue of being in their community, you help one another. A third thing... I hate to say this, but if you’re thinking about relocating, take a look at Atlanta these days. The business down there is growing in so many different ways. No matter where you go, commit to it, and work and meet people. Stay busy. What was your first headshot like? It just looked ridiculous. Black-and-white. I went to the theater school at DePaul University in Chicago, the Goodman School. They had this cookie-cutter system: When you were getting ready to graduate, everyone went to the exact same guy. Everyone looked exactly the same: one commercial look and one serious look. I still remember exactly what that headshot looks like. I used it for a little while, but it was godawful. I don’t want to sound like I’m bragging, but I’m very proud of this: I moved to L.A. in October of 1997, but I never had a survival job in L.A. I was able to support myself with acting from the moment I got to town. I had a little income from a commercial that I did back in Chicago that got me through the first few months of couch surfing. I was very close, particularly in those early years, but all of my [survival] jobs go back to Chicago. I was a busboy at the Art Institute of Chicago in the café, which is outside. And it was summer in Chicago and the place was in shambles and no one cared about anything. It was really something. If I were to sum it up succinctly, I try to get to a place where I’m thinking in character, where I know what the character is thinking about when he’s not speaking. That helps me motivate the lines I do have. I try to learn it backward and forward so I have very good spatial sense of what’s going on with the scene. I try to rehearse the hell out of it. I think every actor knows this somewhere in their mind, but they seldom do it: Really prepare for the role as though you’ve already gotten it. You don’t want to go in and be like, “I can be flexible,” and work yourself into whatever they want. You have to really commit to your choices and know this is how I want to play this role, and do it. I’ve certainly used it early in my career. I would poke around for jobs that were out there. I don’t remember booking a job from a Backstage audition, but I know many, many people who have. Backstage is such a nice thing to know exists, that there’s something out there to help us form a community. Being part of this great community of people who are actors, who care about the work and the craft, is one of the most satisfying elements of my career. Want to make your debut on the big screen soon? Check out our film audition listings!